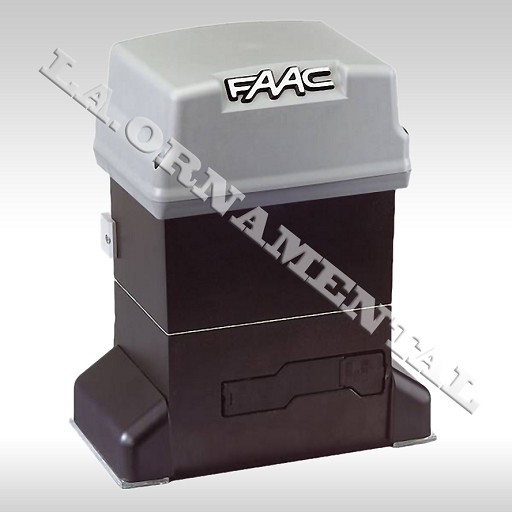 The FAAC 746 Compact Slide Gate Openers uses Gentle Slide tm Motion Management to slide gates with a pulling force of up to 35 lb (16 kg). This operator is available in two basic versions, the rack and pinion or the chain version. It comes as a package containing the drive unit and factory-wired electronic control panel inside the top cover of the unit. All external reversing devices and other accessories must be ordered separately. The control panel provides power for gate accessories of 24 VDC (pulsed or constant). The maximum recommended amperage draw for accessories should not exceed 360 milliamps. 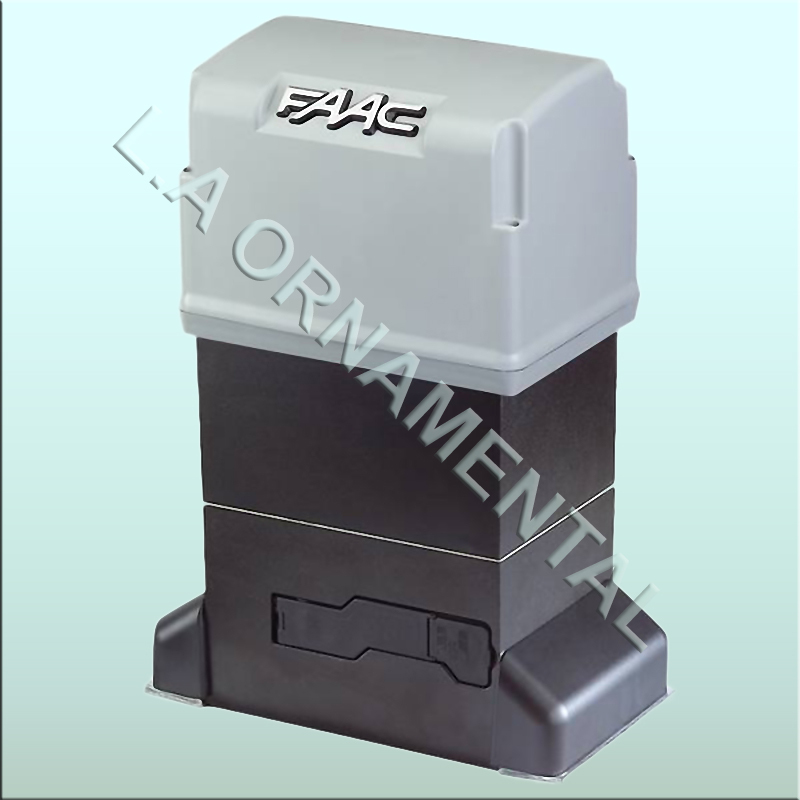 The FAAC 844 Compact Slide Gate Openers is available in a rack and pinion or a chain model. It comes as a package containing the drive unit and electronic separately. The electronic control panel installed in the cover of the 844 Operator is a microprocessor-based controller that accepts a full range of product accessories and reversing devices to allow the maximum flexibility in designing the gate system. The advanced design of the opener features a small, self-contained unit composed of an electric motor with a built-in clutch and a reduction gear box, both housed in a die-cast aluminum casing. The motor drives the rack or chain to slide the gate. The Model 740 opener combines cutting-edge technology with sophisticated styling for single family residential applications. The 740 is perfect for single family residences: access areas of medium transit frequency. 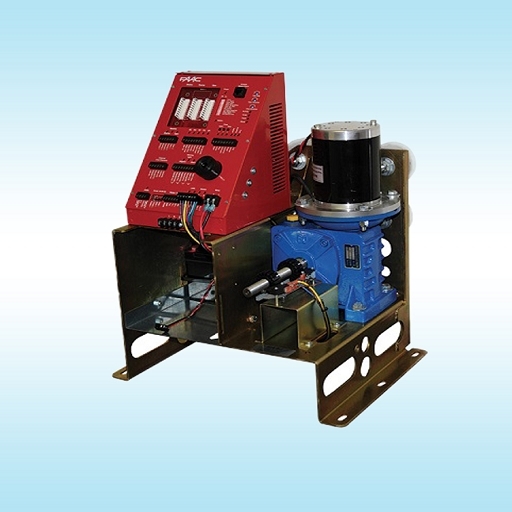 The 740 24V automated system for sliding rack pinion or chain appropriately coupled to the gate. Features: Gate automatically locks when not operating, Battery back-up is optional, "Soft stop" on opening and closing, External limits, A convenient manual release is standard. The 740-24V automated system is ideal for controlling vehicle access areas of medium transit frequency. 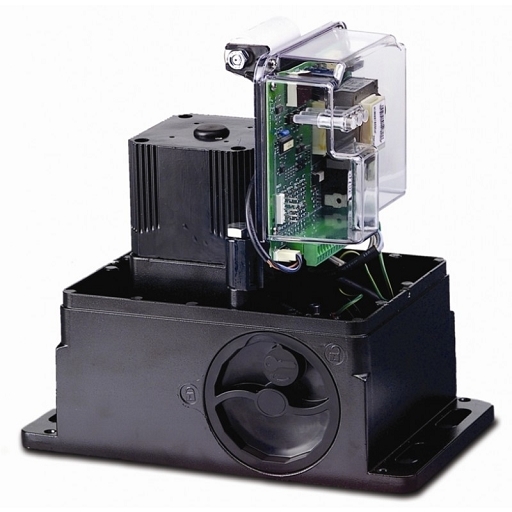 The 740-24V automated system for sliding gates is an electro-mechanical opener transmitting motion to the sliding gate via a rack pinion or chain appropriately coupled to the gate.